Given the complexities involved, it is not surprising that some horses fail to learn the biomechanical skills necessary for passage, according to researchers. Passage is a variant of the trot performed by highly trained dressage horses. It is distinguished from the conventional trot by having a slow speed of progression combined with great animation of the limbs in the swing phase. Researchers Hilary Clayton and Sarah Jane Hobbs set out in a study to explore some of the strategies used by dressage horses to perform passage. The pair, writing in the journal PeerJ, said the slow speed of passage challenged the horse’s ability to control the sagittal-plane moments around the center of mass. For their study, they used three highly trained Lusitano dressage horses who were asked by their riders to perform passage. Their motion was captured by a 10-camera motion analysis system as they were ridden over four force platforms, which also gathered data. A full-body marker set was used to track each horse’s center of mass and measure balance variables, including total body center of pressure, pitching moments, diagonal dissociation timing, peak force production, limb protraction–retraction, and trunk posture. Clayton and Hobbs extracted a total of 20 passage steps for in-depth analysis. They found that pitching moments around the center of mass were controlled by a combination of kinematic and kinetic adjustments that involved coordinated changes in GRF magnitudes, the GRF distribution between the diagonal limb pairs, and the moment arms of the vertical GRFs. The mean pitching moments around the horse’s center of mass were managed differently in passage than during trotting, they reported, although evidence of all three balancing strategies were found in both gaits. “In passage, both the timing (control strategy 1) and position (control strategy 2) of limb contacts play a key role,” the researchers reported. They found that pitching moments were particularly sensitive to vertical force magnitudes. In short, it seems that passage is far from easy. “Given the complexity of the kinematic and kinetic adjustments required to control pitching moments in passage, it is not surprising that some horses fail to learn the biomechanical skills necessary to perform this movement well,” they wrote. Dr Clayton was the Mary Anne McPhail Dressage Chair in Equine Sports Medicine at Michigan State University until she retired in 2014. She continues to perform research through collaborations with universities in many countries. Hobbs is employed by the University of Central Lancashire, in England, as a reader and teaches biomechanics at postgraduate and undergraduate levels. She is research lead in equine biomechanics at the university. “They found that pitching moments around the center of mass were controlled by a combination of kinematic and kinetic adjustments that involved coordinated changes in GRF magnitudes, the GRF distribution between the diagonal limb pairs, and the moment arms of the vertical GRFs.” Hah! It seems Passage is no simpler in Scientists’ language ! Basically, as with Tai Chi, it’s pretty obvious that performing controlled slow movements of Passage, needing balance and strength, is always going to be highly different to performing similar leg sequences in trot at the opposite end of the speed spectrum. What would have been much more interesting, especially from a judging and competitive view, would have been to compare ‘different’ expressions or step trajectory WITHIN the same gait. 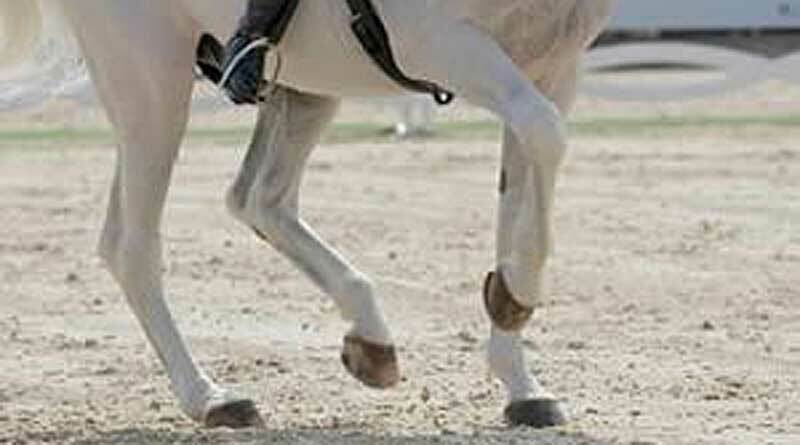 Some Classical expressions of the Passage for instance involve more of a ‘pure’ vertical lift in the hind leg step, showing less of the forward and backward swing of say the Iberian Breeds, who thereby also ‘pitch and roll’ in their extravagance. Much more than if compared to the more “refined” expression of the Classical Passage shown in centuries-old drawings and as taught in, say, Saumur? With this degree of ‘pitch and roll’, I am not so amazed that some horses can and some cannot perform it, as to see if technology can help standardise how the gait “should” be performed, and how to judge and narrow the differences between one ‘taste’ against another. I have read and studied a fair bit of the ‘Masters Writings’ about Haute Ecole, but sure do not claim to be an expert. I am more than sufficiently ‘baffled’ by the degree to which judges vary individually in their ranking of competitors at ‘my ‘ level of interest in Eventing Dressage !